Nano Magic offers best quality hydrophobic coatings for porous stone or concrete and hydrophobic concrete additives SiO². NanoMagic hydrophobic treatments of concrete is a perfect additional protective measure against penetration of aggressive substances, for instance deicing salts in bridge decks. 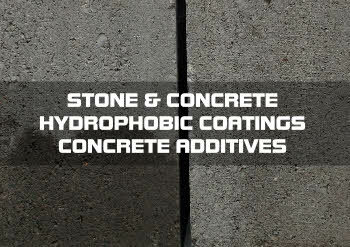 Hydrophobic concrete is produced in a variety of ways that fall under two categories; coatings or admixtures. When creating hydrophobic concrete through a coating process, a coating is sprayed or brushed onto a porous surfaces. Magic Stone Coat Plus - Penetrative Protective Coating for Stone and Concrete Against Abrasion, and ..
Magic Stone Coat Plus - Solvent Based Penetrative Protective Coating for Stone and Concrete Against ..